Via Bloor is a tale of two buildings set to become a neighbourhood of people, public spaces and culturally rich experiences. Envisioned as a new retail promenade, Tridel will be extending Bloor Street’s famed shopping to create Via Bloor. More than revitalization, it will inspire you to shop, eat, explore and live. 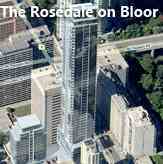 It will become a boulevard of urbanity and greenery framed by Yorkville, Rosedale Village and the Danforth. 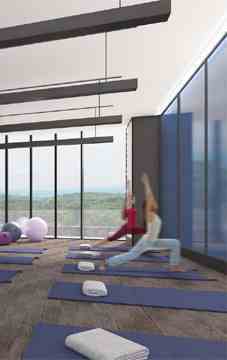 -Entire Fourth Floor Indoor Amenities 17,000 sq.ft. 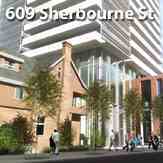 -Building Designed to achieve a LEED® Gold status. 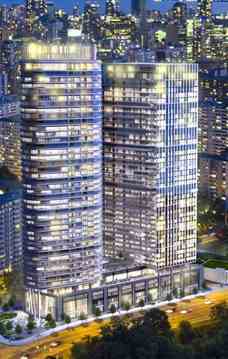 Via Bloor is a condo development by Tridel located at downtown Toronto, just steps from the Sherbourne Subway Station. Via Bloor is a place for university students and downtown commuters. University of Toronto and Ryerson University are at close proximity. There is also an easy access to DVP. Ceiling Height: From 8'0" to 9'0"